Pan has 17 molds for 1.5" bones. Outside dimensions 9.5" x 7.25"
Small, great for chocolates for party favors! 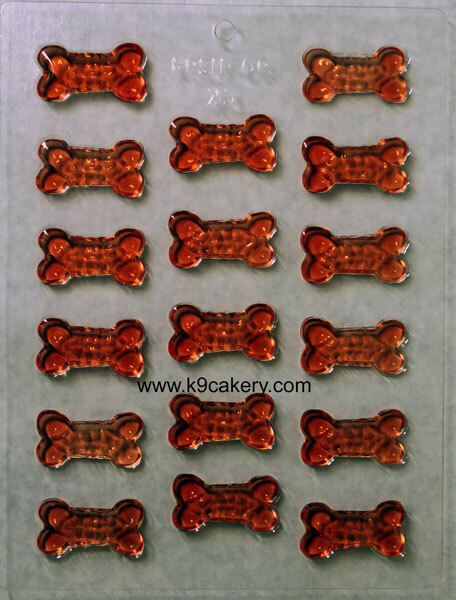 Q: What could you put in the candy moulds that is dog friendly? A: You can use melted carob chips, peanut butter chips or yogurt chips as an example. They work great in these molds.